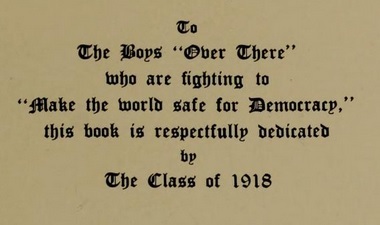 The Class of 1918 dedicated their yearbook to the men serving abroad. 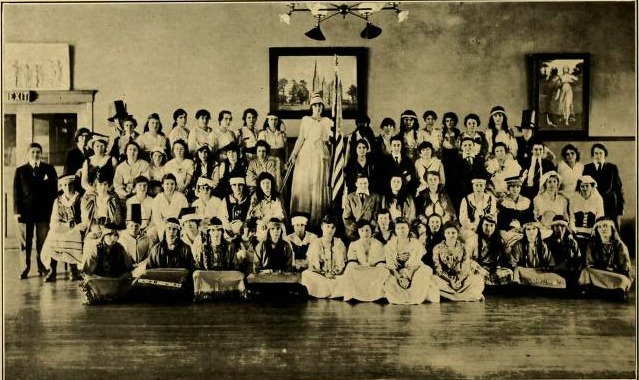 Throughout the earliest portion of the 20th century, the students, faculty, and administration of the Normal School implemented changes that would bring the school and the North Adams community together. When the United States entered the Great War that process was hurried along significantly. Throughout the First World War the students of the Normal School came up with vibrant and entertaining ways to support the war effort. Click to read the full description of the dance. In 1918 a program was put together to celebrate the anniversary of the entrance of the United States into the First World War. While meant to be a form of entertainment, the program covered the concepts of solemnity and fervent patriotism in difficult times as well as jubilant pride. Oftentimes one feels that words are too weak to express fully the character and real meaning of any such occasion as that which demands and brings forth the quickening heart beats of a patriotic soul. 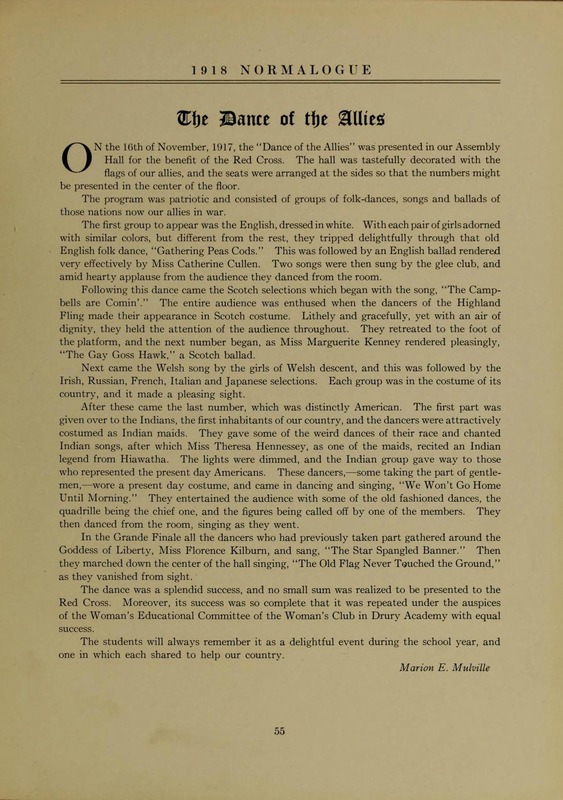 So it was that this finer enthusiasm was afforded us when on April 11, 1918, the student body of seniors presented “The American Anniversary Program,” which had been carefully planned and worked out by Miss Baright. She had cleverly adopted it as a most appropriate means of celebrating one of the greatest events in history, that of the entrance of the United States into the world war of the present day. The entertainment consisted of recitations and singing,– recitation of literature written only about this present conflict, and singing of patriotic songs. Only those who attended this entertainment can fully appreciate any words concerning it, for satisfaction, patriotism, and pride, were the feelings enjoyed by all before the close of that never-to-be-forgotten evening. 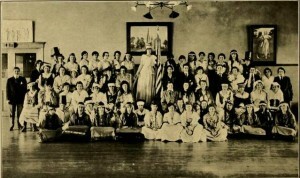 A popular activity at the Normal School, the Glee Club certainly did their part in keeping up morale in the community. After all, at the end of a long day in war time, when resources are scant, music can be a great source of comfort or invigoration. 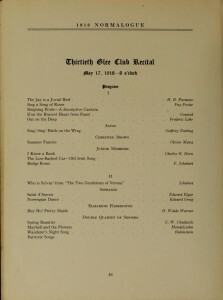 Click to view the full program from the Glee Club Recital. 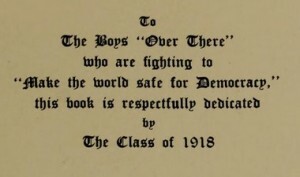 May 17, 1918, at eight o’clock in the Normal School auditorium. We had a large and appreciative audience. recital independent of financial aid from the school. 1. 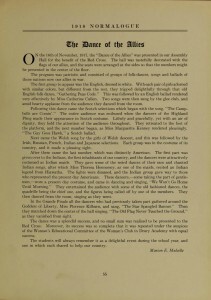 Marion E. Mulville, “The Dance of the Allies,” The Normalogue, 1918. Massahusetts College of Liberal Arts Freel Library Special Collections. 2. Mary Mullaney, “The American Anniversay Entertainment,” The Normallogue, 1918. Massachusetts College of Liberal Arts Freel Library Special Collections. 3. 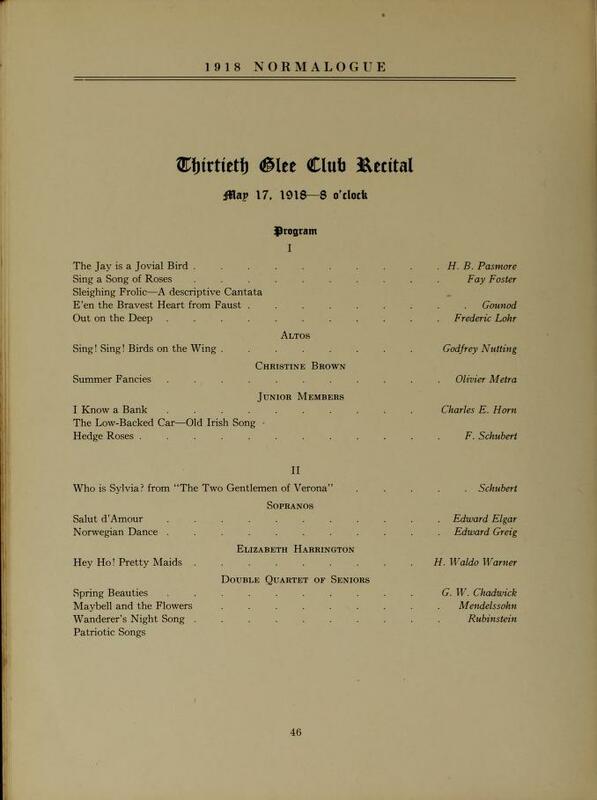 “The Glee Club Concert,” The Normalogue, 1918. Massachusetts College of Liberal Arts Freel Library Special Collections.